J'ai lu cet article et je l'ai trouvé très intéressant. Cet article s'appelle The Permanent exhibition et se trouve à cet adresse http://drancy.memorialdelashoah.org/en/exhibitions-events/exhibitions/the-permanent-exhibition.html. The permanent exhibition focuses on Drancy’s history, the lives of the people interned there from 1941 to 1944 and the deportations from the camp starting in 1942. 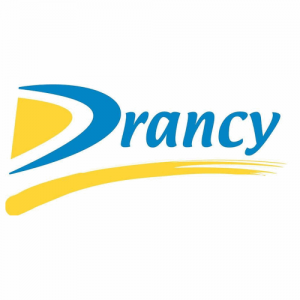 The first room is an elliptical space with general information about Drancy. A timeline can be found on the right. Two other timelines put the events into the French and global context. Visitors can also watch nine documentaries about aspects of life in Drancy based on archives and photos. A model shows the camp’s layout and several items explain how internees lived day to day. Visitors can see archival documents and watch Patrick Rotman’s documentary La Vie quotidienne (“Daily Life”). On this wall, a countdown starting from the time the Germans decided to deport a group of Jews to the logistics involved after the train’s departure spells out the technical details required in planning a transport. This cubical area, which is apart from the rest of the permanent exhibition, has photos and letters children sent from Drancy or threw out of train windows, providing a glimpse into their plight. 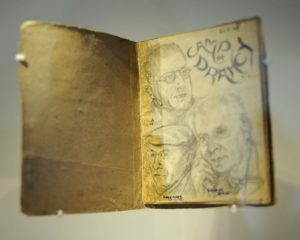 Administrative records and former internees’ video testimonies and documents such as diaries shed light on the days just before the camp’s liberation. Visitors can see items such as a tin plate, sketchbook and laundry bag that belonged to Jews interned at Drancy and watch 30 video testimonies by former internees. Photos and abundant commentary focus on key dates in the camp’s postwar history.